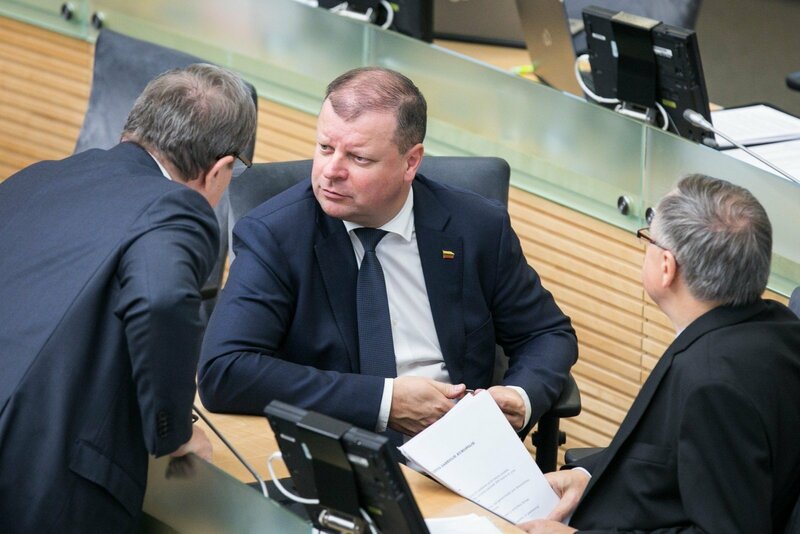 By firing three of his cabinet ministers, Prime Minister Saulius Skvernelis has won some time to try and contain the situation, however it is only a temporary solution, public relations expert Arijus Katauskas tells lrt.lt. “If all social groups and especially educators do not back down, the prime minister will have to place the target of criticism on himself. Soon we will start questioning not ministers, but S. Skvernelis himself,” the expert says. According to A. Katauskas, increasing pressure from educators and healthcare staff, who joined them, has left no other choice than to react, especially with criticism starting to turn toward S. Skvernelis himself. "The pressure rose sharply for the prime minister and his team last week, especially during the weekend, when healthcare staff joined the strike. It was clear that the prime minister will be forced to react – people started to place focus on the prime minister himself instead of the minister. We can recall a statement by the Trade Union Confederation that the minister does not have the authority and negotiations must be held with others. The prime minister maintained distance for a time, however he could no longer stand aside," A. Katauskas explained one of the reasons for sacrificing the ministers. Secondly, the public relations expert notes, the ministers were rated rather poorly by the public and had been embroiled in various scandals, which began to harm the cabinet's ratings in general. 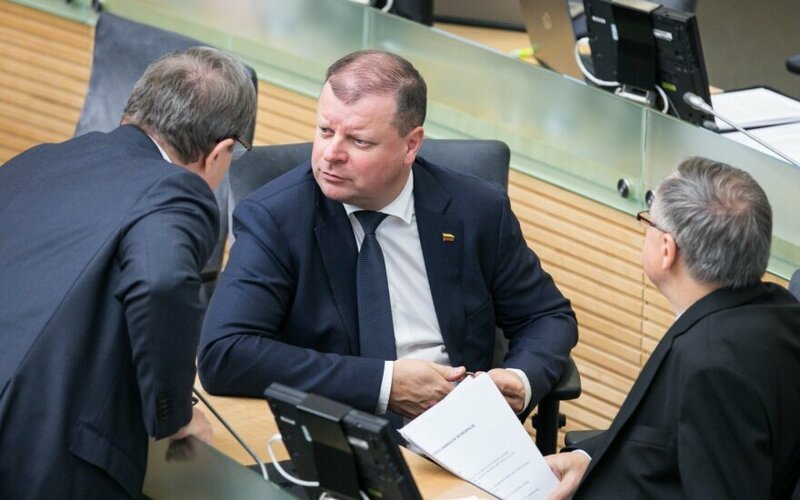 According to A. Katauskas, eventually S. Skvernelis will be forced to take responsibility, especially if the protesting social groups do not stand down. "By removing the ministers, the prime minister won some time and distance from the problem, however it is only a temporary solution, especially if all social groups and especially educators do not back down, the prime minister will have to place the target of criticism on himself. Soon we will start questioning not ministers, but S. Skvernelis himself," he says. Former vice Minister of Education Nerija Putinaitė also noted that the cabinet should take responsibility on her Facebook profile. "Today's decision by the prime minister and his arguments show that today is a day of loss for teachers. There is no one left to negotiate with. We no longer have anyone to take responsibility. The minister is gone, but the wage payment problems remain. The government "programme" remains. Which new minister will want to understand the problems and resolve the situation? None because the point isn't the minister, but the government programme," philosopher and political figure N. Putinaitė stated. According to her, the entire cabinet should take responsibility because Minister Jurgita Petrauskienė did adhere consistently to the government programme. "I doubt that the minister was personally convinced in the correctness of the change. But she implemented the "programme". This probably was a personal mistake as well. What is most disappointing about the cabinet is that the ministers aren't viewed as individuals, who understand the area they manage. They are simply marionettes, instruments for implementing the "programme". They cannot have a personal opinion, a personal agenda. If they do have it, they become unsuitable. Those, who do not have it, are left alone with the responsibility," N. Putinaitė states.